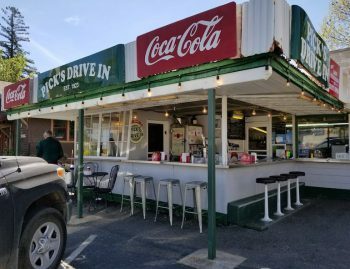 Good Guys 2017 Autumn Get Together features a running display of Chevrolet’s newest and most powerful big block ever! 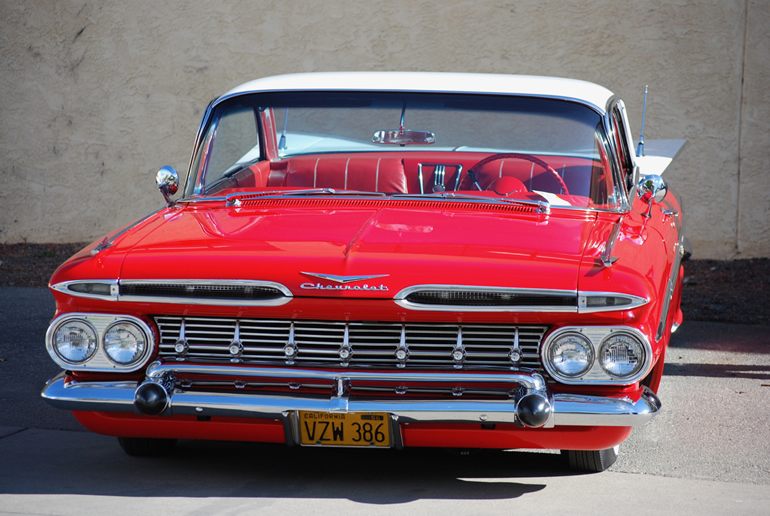 The most powerful engine ever produced and sold in a crate was displayed on a running test bed by Chevrolet Dublin (California) The 572 cubic inch (that’s 9.4 liters!!!) monolith outputs 740 horsepower from the factory. The ZZ572/720R is ready to race or drag. 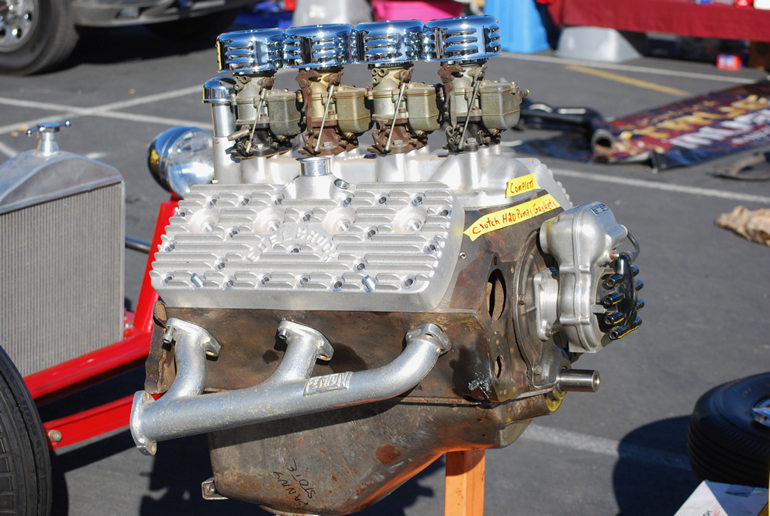 Normally aspirated by an 1,150 cfm Dominator carburettor, this engine is pure power. 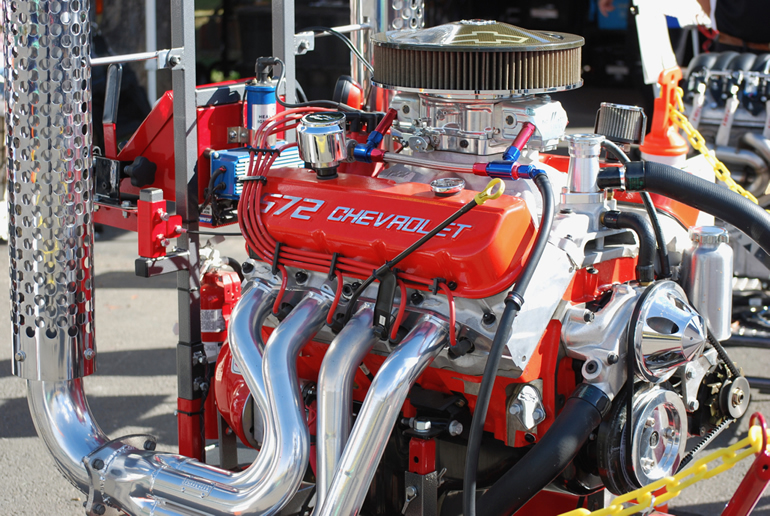 Chevrolet promotes the benefit of this engine as being totally ready, right out of the crate. Add a fuel pump and a starter and you are ready to race or hit the 1/4 mile doing 9 second brackets. 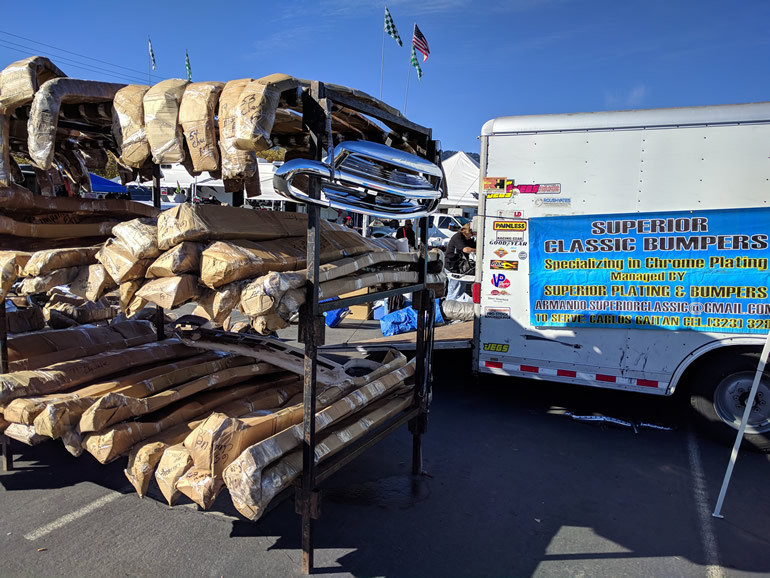 By contrast, a flathead (sidevalve) V8 from the early 1950s is offered for sale at the swapmeet in the same display. We’ve come a long way from the days of 85hp at the factory. Good-Guys events take a full day to visit the displays and see the events. I suggest two full days! 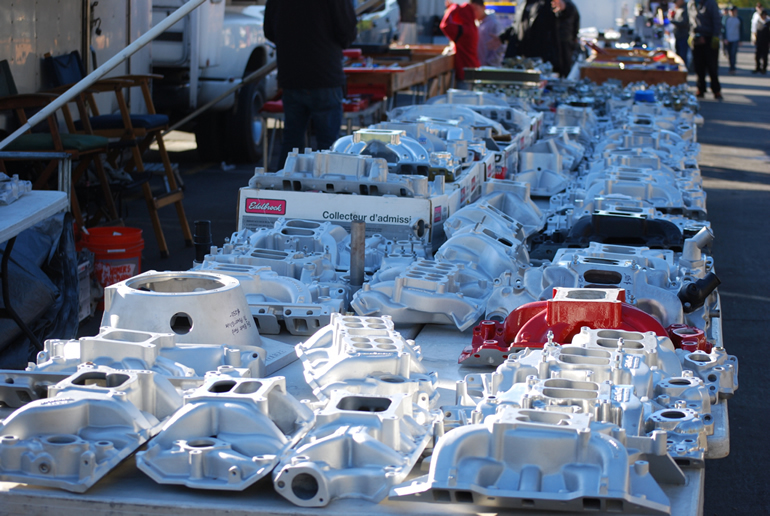 One day just to sift through the swapmeet and the other to see the events and displays. Chevy Impala low rider spreads its wings. A combination of new and classic complements the original design of this classic survivor. 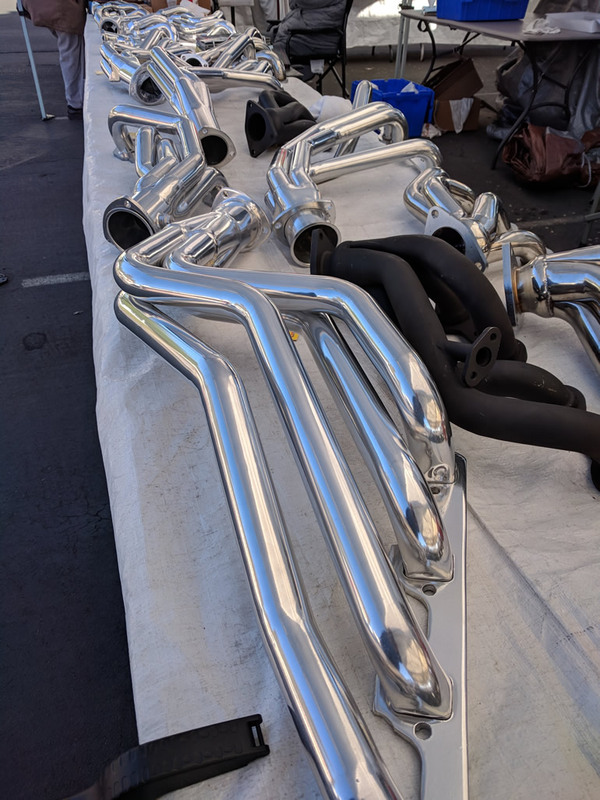 New and reconditioned Edelbrock performance manifolds in all sizes and spec. 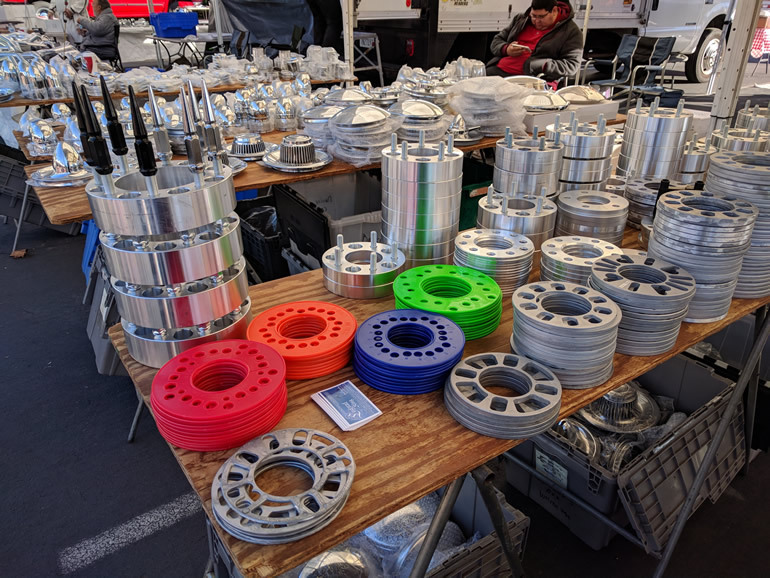 TotalCostInvolved.com suspension specialists with their impressive display of front and rear IFS, and complete chassis kits. 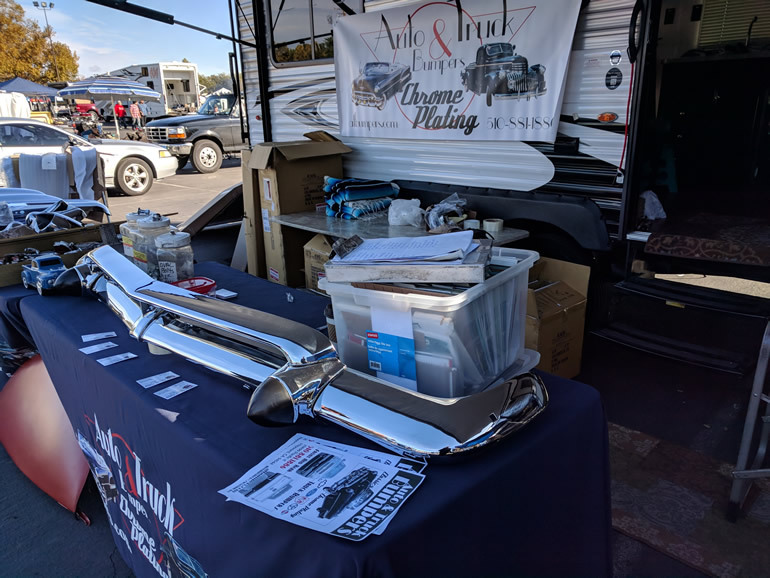 Bumper, grille and chrome accessories refinishing stores were ready for a take home order at Good-Guys FuelCurve.com 2017 Autumn Get Together in Pleasanton, California. 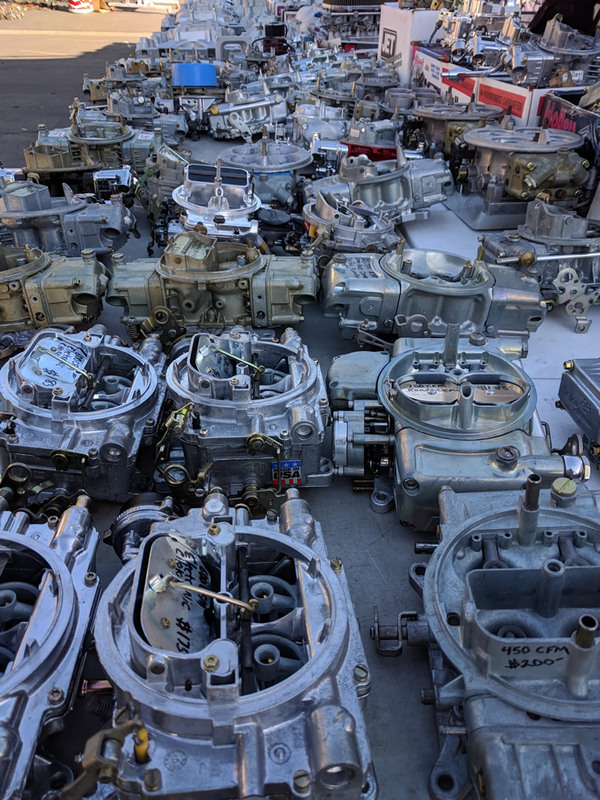 More crate engines ready to take home today! 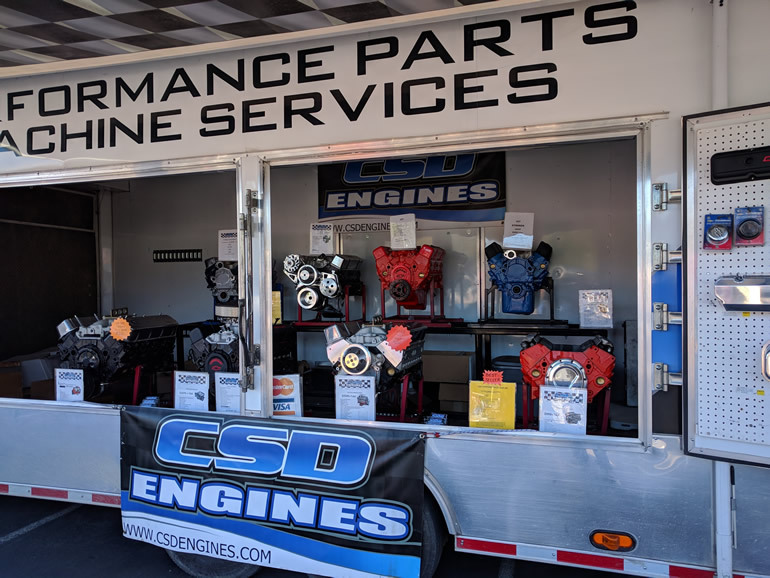 Tony and Dustin Massey’s CSD Engines mobile engine display center in the swapmeet area at Alameda Fairgrounds, Pleasanton, California. 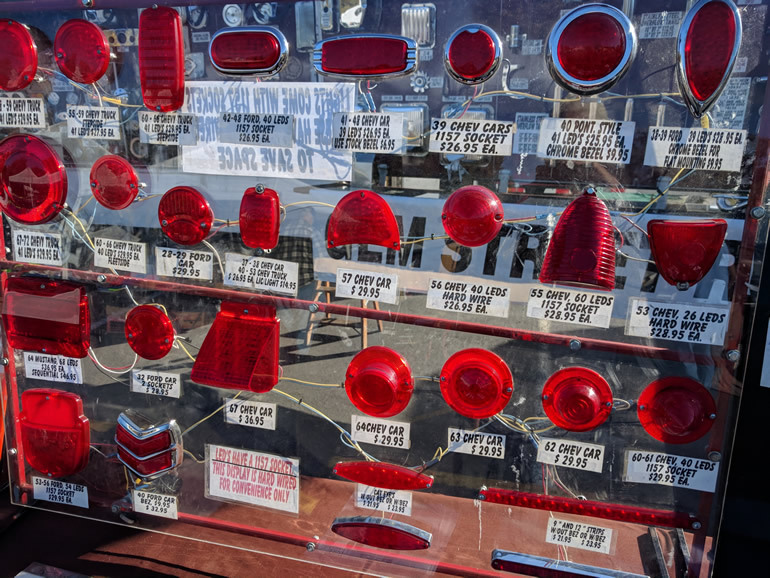 LED conversion lamps for almost any classic and hotrod. A favorite is the ’64 to ’68 Mustang sequential indicator tail light combination. 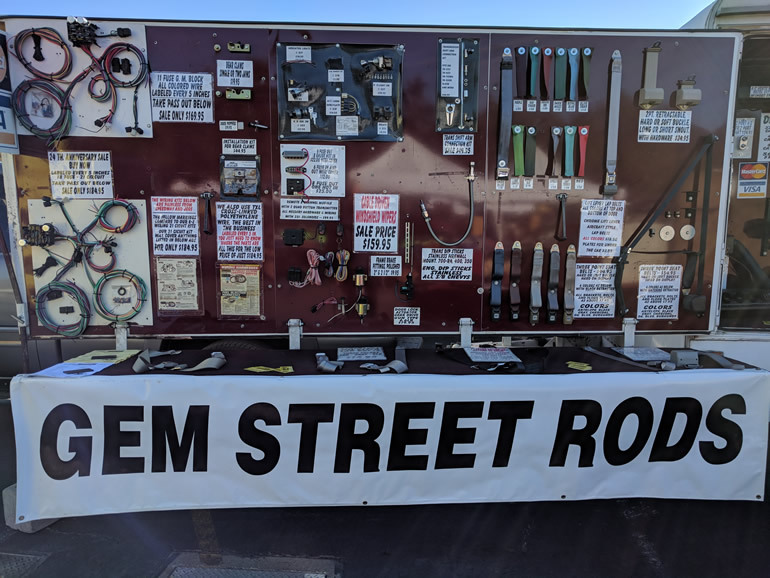 Engine wiring harnesses under $200 and wiring labeled every 5 inches for easy tracing by Gem Street Rods. Looking for a personalized classic license plate? 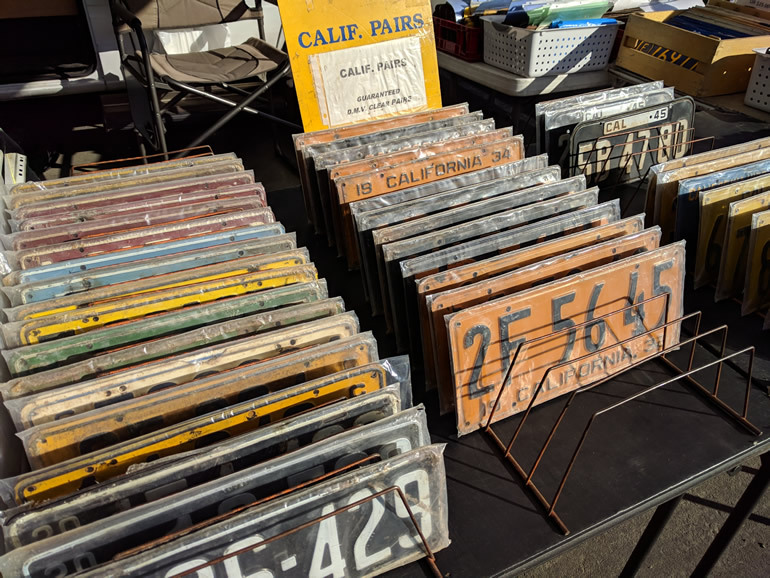 Collectable plates spanning the last century in swap meet alley by Tim Hindman of Vancouver WA. 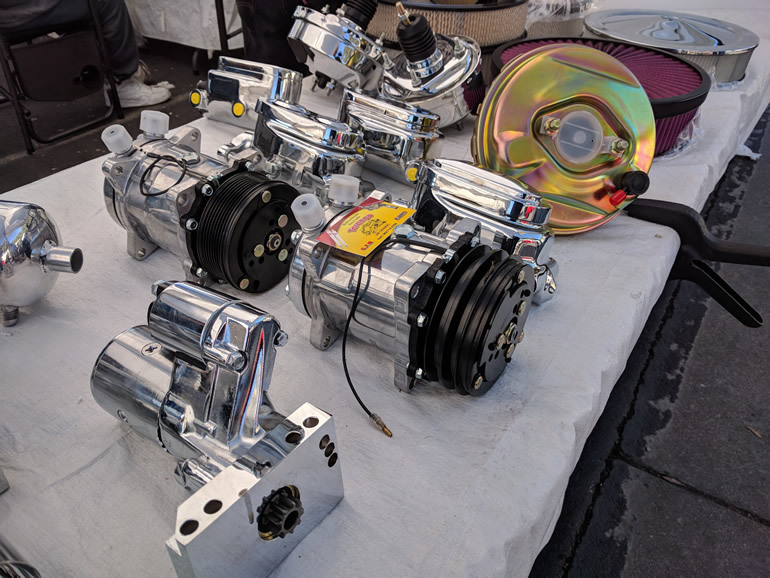 Polished airconditioning compressors, brake boosters, starters, and alternators to match the chrome dipstick by Tarango Customized Headers. 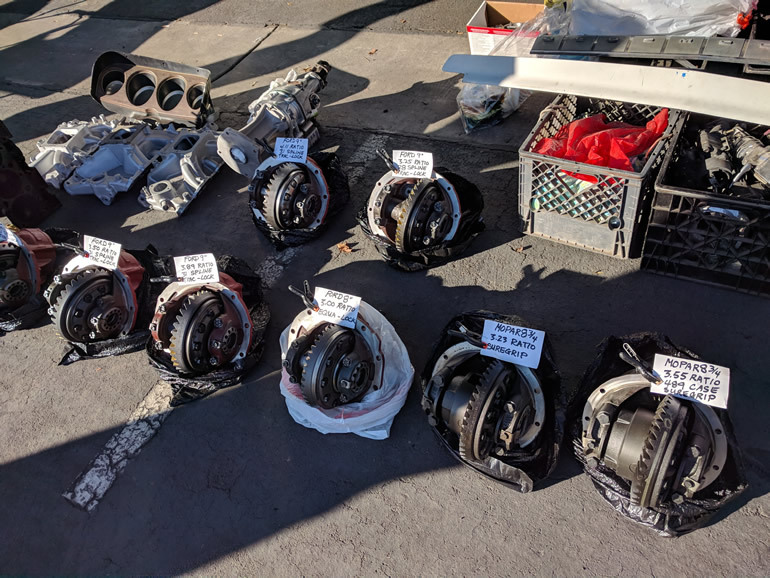 Lugnut King, Raul Gonzales of Fontana, Ca with spacers, lug nuts, center caps, and early hub caps ready to take home and add to any hot ride. 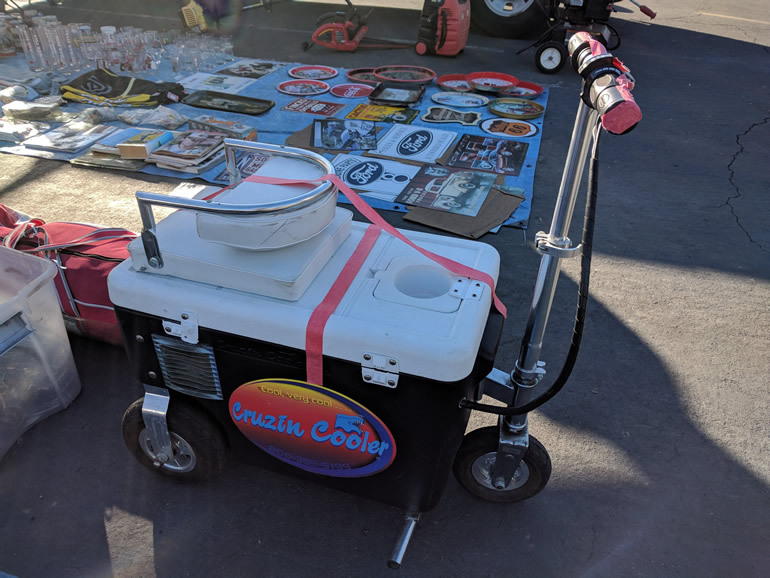 Electric driven cooler along with car memorabilia and collectibles. Diffs anyone? Mopar or Ford? Just choose your crown gear size and ratio. What cfm do you want in your dual chamber Holley? 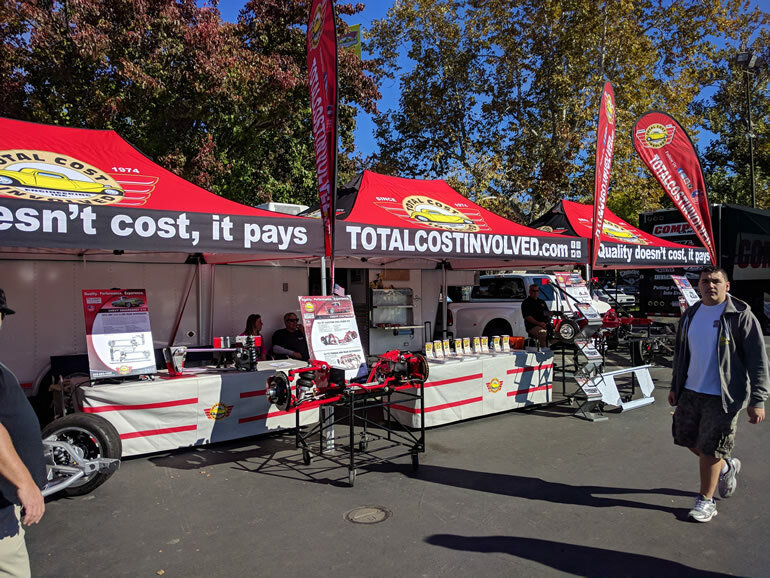 HotRidesUSA.com looks forward to the next Good Guys event in Pleasanton on March 24 and 25, 2018 for the 36th All American Get-Together at Alameda County Fairgrounds, Pleasanton, California.